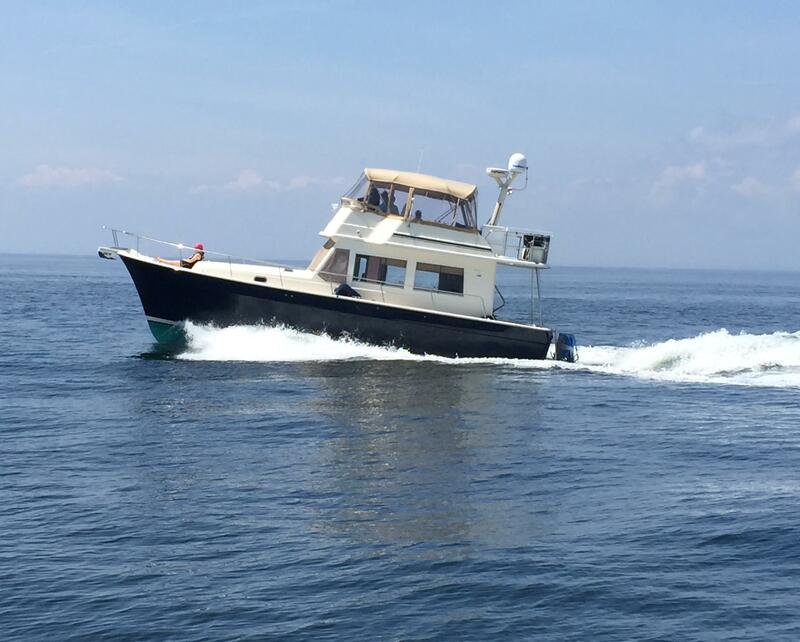 Mainship, an American boat builder established in 1977, has been a leading manufacturer of production trawlers for more than 30 years. 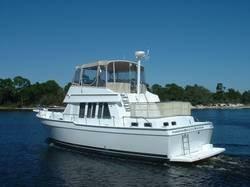 In 1994, Mainship launched the new trawler, a 35 sedan. 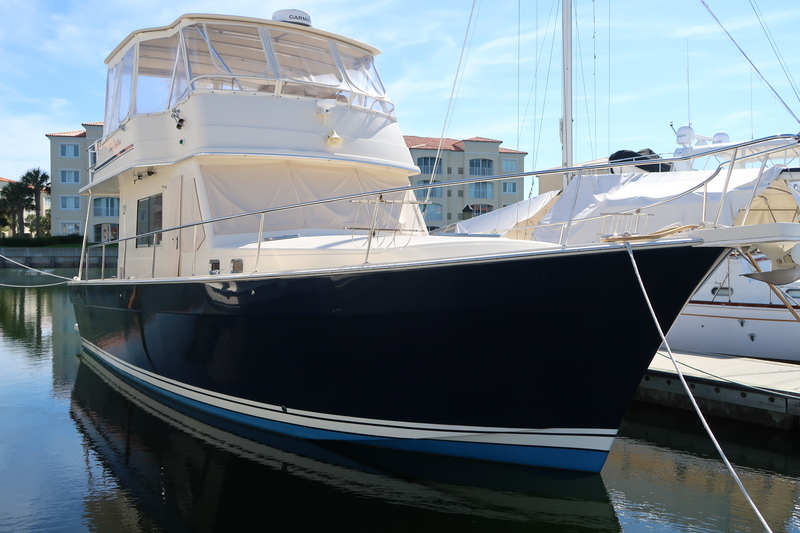 Marlow Yachts acquired Mainship in 2012 and has enhanced design ideas from the Mainship brand, creating 3 new trawler models: MM32, MM37, and MM31 Express. Worth Noting: Mainships were originally built in Marlboro, New Jersey. Mainship 30 Pilot 1998 - Current 30' 0" 10' 3" 2' 11"
Mainship 30 Pilot Sedan 2000 - Current 30' 0" 10' 3" 2' 11"
Mainship 31 Sedan Bridge 1994 - 1999 31' 3" 11' 10" 2' 10"
Mainship 34 II 1980 - 1982 34' 0" 11' 11" 2' 10"
Mainship 34 III 1983 - 1988 34' 0" 11' 11" 2' 10"
Mainship 34 Pilot 1999 - Current 34' 0" 12' 3" 3' 3"
Mainship 34 Diesel Cruiser 1978 - 1982 34' 0" 11' 11" 2' 10"
Mainship 34 Motor Yacht 1996 - 1998 34' 6" 13' 8" 3' 2"
Mainship 35 Cockpit; Convertible 1988 - 1994 34' 11" 12' 8" 2' 10"
Mainship 350/390 Trawler 1996 - Current 34' 9" 14' 2" 3' 8"
Mainship MM31 Express 2012 - Current 35' 5" 10' 2" 2' 6"
Mainship 35 Open Bridge 1990 - 1992 35' 0" 12' 5" 2' 8"
Mainship MM32 2012 - Current 36' 8" 10' 10" 2' 5"
Mainship 35 Open; 36 Express 1990 - 1994 36' 5" 12' 5" 2' 8"
Mainship 36 Double Cabin 1984 - 1989 36' 2" 13' 0" 3' 0"
Mainship 36 Nantucket 1986 - 1988 36' 2" 13' 0" 3' 0"
Mainship 40 Trawler 2003 - Current 36' 9" 14' 2" 3' 8"
Mainship 37 Motor Yacht 1995 - 1998 37' 9" 13' 5" 3' 7"
Mainship 34 Trawler 2005 - Current 38' 10" 14' 3" 3' 4"
Mainship 39 Open; 39 Express 1989 - 1993 39' 2" 14' 1" 3' 4"
Mainship 395 Trawler 2010 - Current 39' 5" 14' 3" 3' 3"
Mainship 40 Double Cabin 1984 - 1988 40' 0 14' 0" 3' 4"
Mainship 40 Motor Cruiser 1980 - 1984 40' 0" 14' 0" 3' 4"
Mainship 40 Sedan Bridge 1993 - 1999 40' 7" 13' 6" 3' 5"
Mainship 41 Cockpit MY 1989 - 1992 40' 11" 14' 5" 3' 6"
Mainship 41 Grand Salon 1989 - 1990 40' 11" 14' 5" 3' 6"
Mainship MM37 2012 - Current 41' 11" 12' 2" 2' 8"
Mainship 400 Expedition; 41 Expedition; 414 Trawler 2003 - Current 41' 4" 14' 2" 3' 8"
Mainship 400 Trawler 2002 - Current 41' 4" 14' 2" 3' 8"
Mainship 43/45/479 Trawler 2006 - Current 43' 0" 15' 6" 3' 8"
Mainship 430 Aft Cabin Trawler 1999 - Current 43' 0" 15' 6" 3' 8"
Mainship 47 Motor Yacht 1990 - 1999 46' 10" 15' 5" 3' 10"
Mainship 43 Trawler 1998 - Current 47' 9" 15' 5" 3' 8"
Mainship 45 Pilot 2008 - 2009 47' 9" 15' 6" 3' 8"
Mainship Corporation was formed in 1977. Over 1,200 of the traditionally styled cruisers were built before Mainship began building a European inspired line of cruisers in 1988. The new boat line did well for several years, but Mainship's real destiny was to return to the trawlers that made them famous. 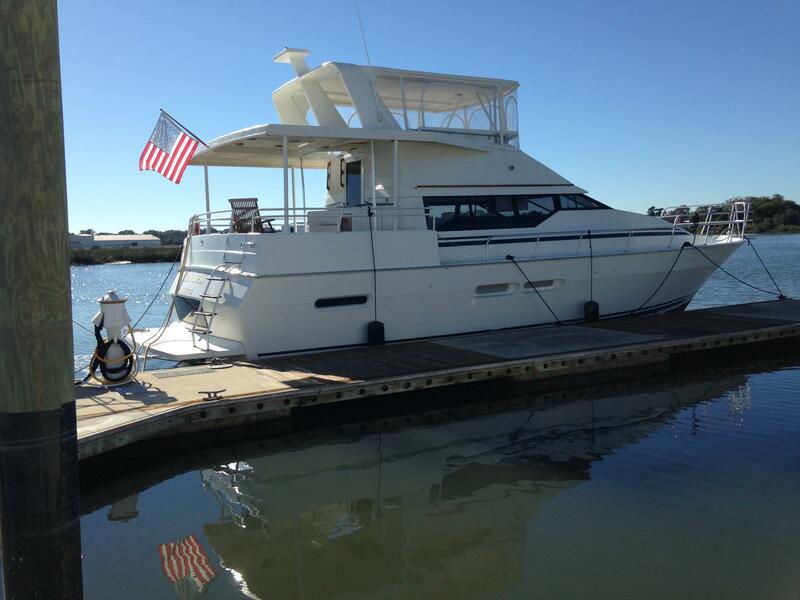 In 1994, the first new Trawler, a 35 sedan was introduced and the market accepted the new breed with enthusiasm. 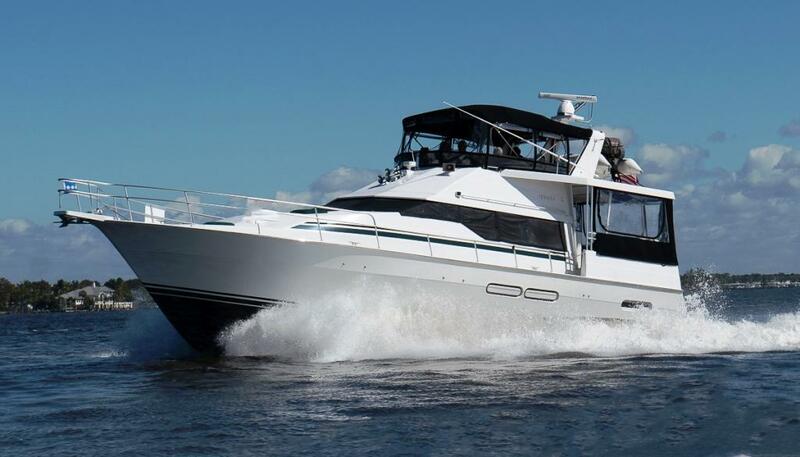 Today, Mainship Corporation is the leading manufacturer of production trawlers building 6 different models with many more on the drawing boards. 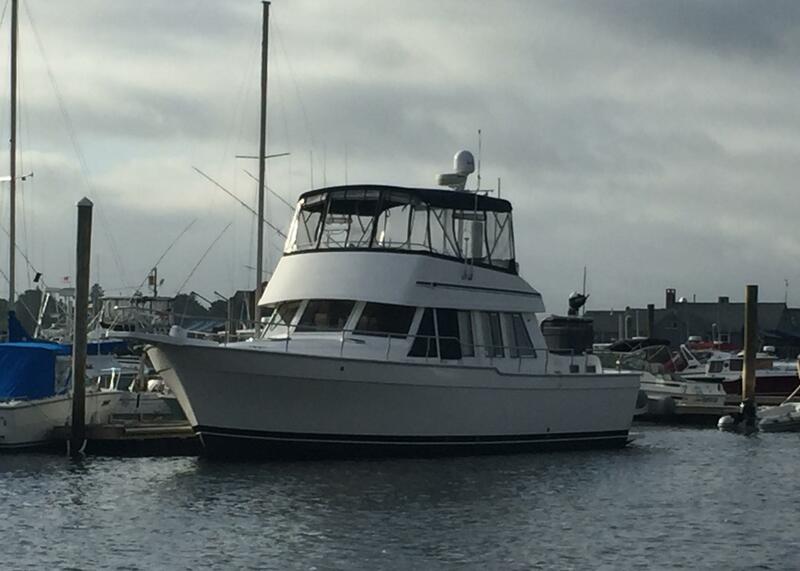 Mainship, along with its sister companies in the Luhrs Marine Group, is an employee ownership company. This means that all employees want to share in the success of creating value and satisfaction for all the Mainship owners for years to come.